For a guy that knows a lot about wrestling I found recently that I've forgotten a lot. For the past couple years I've been stuck on the same wrestling programs. As the past Wrestler Retrospects can attest I've been a WWE guy for a while. Although WWE is the "premier" company and what most wrestlers aspire to get to, I've found not too long ago that it's become stagnant. It's the same guys week after week. The same guys at the top of the company, putting on the same matches. Don't get me wrong, those guys try. They're trying their hardest to put on great matches and entertain the fans, and for the most part they're successful. One problem is you can't come up with new stuff when you're working with the same guys all the time. WWE builds to their pay-per-view events. That can be troublesome because with a month (and now more with the brand split) there's quite a long build up. And when feuds can go a couple of months at a time it can get quite tiring. NXT has been successful at remedying that. Where their pay-per-view events are so far apart they can build and end feuds on the shows. They can showcase different wrestlers week after week, which is quite refreshing. Lucha Underground has also been good for my branching out. Showcasing new wrestlers and matches often that keep me entertained. There are no "special events" so they also can begin and end feuds on the shows so things don't grow stagnant. At the urging of my friend Chris I have been shown a whole new world. New Japan Pro Wrestling. He shared with me an even they recently had. It was a two night event that showcased a lot of wrestlers I hadn't seen or had barely any introduction to. I took the opportunity to download it and try something new. I couldn't have been more pleased. It is amazing. Showcasing a lot of independent wrestlers from all over the world, it's been an eye opening experience. It's renewed my love for wrestling. I haven't been this excited to watch wrestling in I don't know how long. One of those reasons is Kenny Omega. I'd been introduced to Omega through my own research. I'd seen articles about him and read up on him a little, but I'd never taken the time to look up any of his matches. This NJPW special centers around a tournament to crown the first ever U.S. Champion. Omega happens to be one of the participants. His first match against Michael Elgin (Another name I'd heard of, but didn't look into) was amazing. It had been so long since I'd seen the kind of action that was showcased. Lucha Underground has something similar, but totally different if that makes sense. NJPW wrestlers have a gift of being able to tell stories during their matches, much like WWE used to be able to do. Omega in particular was great at this. Without prior knowledge of either of them, I watched them tell a story of a hard nosed grappler in Elgin trying to defeat the leader of an upstart group of wrestlers trying to take over NJPW in Omega. The two gave it all in that match. They told an engaging story while pulling of wrestling moves that wowed me more than I'd been in a long while. It wasn't just Omega and Elgin though. Through the course of just the first night of this event I watched many wrestlers I'd never previously seen wow and amaze me in the same fashion. I've also saw wrestlers that I'd known previously but have seen them in a new light. They're able to bring alive characters that I enjoy watching, unlike they were in other promotions. I saw a wrestler, Cody Rhodes, who I'd only had a luke warm interest while in WWE, come to life as a villain (A character he wanted to portray while in WWE, but was told no.) that has made me gain a new respect for him and made me fall in love with his abilities to portray a great character. I've been introduced to Kazuchika Okada, the IGWP Champion, and saw a wrestler who has the ability to turn such simple finisher as a short arm clothesline into a spectacle. He is able to build anticipation waiting for him to hit his Rainmaker (The aforementioned short arm clothesline) and cheer when he hits it. A short arm clothesline. A move that I've seen a million times before. I'm eating it up and the sad thing is I've already started the second night, so I don't have much more to go. I'll be sad to see it end but I'll be excited to see more. I'll be on the edge of my seat to be able to watch the next installment. 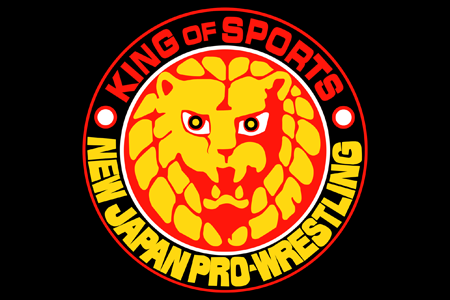 NJPW has been a breath of fresh air. Something different while still being similar to the old school wrestling that I fell in love with. It gives me hope for the future of wrestling. That there are still those guys out there that are working hard to perfect their craft and entertain their fans in new and exciting ways. put down WWE. I still love the wrestlers in WWE. It's just opened my eyes to a new experience and all the options that are out there. I love WWE and always will, but I'll be expanding my horizons now. I'll be able to realize I can look elsewhere for wrestling and not let my love for wrestling grow stagnant again.